Point2 Homes gives you far more than a simple list of houses for sale. 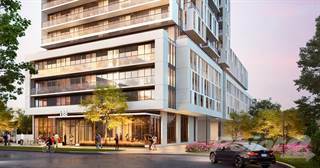 Get instant access to a lot of relevant information about Don Valley Village, Toronto, ON real estate, including property descriptions, virtual tours, maps and photos. The search results pages also have a wealth of information on Don Valley Village, Toronto, ON, if you scroll all the way down. 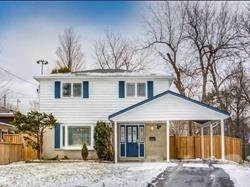 There are 28 houses for sale in Don Valley Village, Toronto, ON. Searching homes for sale in Don Valley Village, Toronto, ON has never been more convenient. With Point2 Homes, you can easily browse through Don Valley Village, Toronto, ON single family homes for sale, townhomes, condos and commercial properties, and quickly get a general perspective of the real estate prices. Also, you’ll never miss a bargain if you filter listings based on house price drops in the past six months. 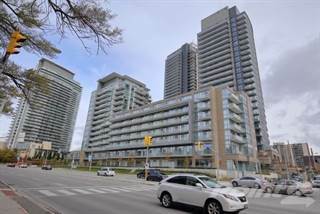 Use the map view to find Don Valley Village, Toronto, ON homes and apartments for sale, based on amenities or city features that you may want close by. You can close in on a specific neighbourhood or area by simply drawing around them with the polygon or radius tools. Stay informed about the latest entries on the real estate market by saving your searches. This way, you get new listings in your inbox, daily or every week, based on your preferences. If you’d like to get in touch with a professional, agents are displayed next to their listings, and they’re easy to contact through the online forms. If you want more options, you can click the Tools tab and Find an Agent, and you’ll get a list of helpful and knowledgeable real estate agents in Don Valley Village, Toronto, ON. Visit the Point2 Homes blog and you can find up to date expert advice on many markets throughout Canada, regular market reports, neighbourhood scoops in cities throughout the provinces, real estate deals and useful recommendations. The Don Valley Village is a rolling, hilly neighbourhood in North East Toronto, Ontario. The Don River and the surrounding valleys and ravines make for varied topography. The neighbourhood is settled in large part by immigrants from a wide variety of backgrounds. Don Valley Village is located between the 401 in the South and Finch Avenue in the North. The 404 is the Eastern boundary, and Leslie Street marks the West. One of the local points of interest is “The Peanut”, a section of the neighbourhood that when viewed on a map, resembles its namesake. At the North end of the peanut is a large strip mall and shopping complex called the Peanut Plaza. The Plaza is home to businesses such as the Tone Tai Supermarket and the Bank of China, as well as a Dollarama and Beer Store. Don Valley Village feels very much like the middle class community that it is. It has a number of features that people are very proud of, such as the world-class North York General Hospital, and some that are problematic, such as certain areas that suffer from crime problems. In many ways, it is like a small, self-contained city with ups and downs, rather than a homogeneous neighbourhood. Don Valley Village is a typical metropolitan melting pot. Rather than being mostly populated by one people of a particular background, and many enclaves of that type exist in Toronto, Don Valley Village is home to people from all over the world. There is a large immigrant presence here, but they come from all across the planet, rather than one specific point of origin. The shopping in Don Valley Village is excellent. The Fairview Mall was for a long time considered one of the best shopping centres in Toronto. The mall is accessible via the Don Mills subway stop, has ample parking, and has anchor stores like The Bay and Sears. Peanut Plaza provides shopping and dining closer to the north end of the neighbourhood. The Fairview Library and Theatre are located very near to the mall. The library is an excellent branch of the Toronto public library system, and the theatre is host to a number of shows performed by companies like Stage Centre Productions. If you’re looking for a drink to relax after work, the Seneca Pub in Peanut Plaza, or the Moxies in the mall are popular options. Housing in Don Valley Village is mostly modest and affordable. The location, which is far out from the core of the city, makes it more affordable than more centrally located neighbourhoods. However, the access to public transit and the freeway system means that it is well suited to those who want more house for their money and are willing to commute. Lots of condos and apartments are available around the corner of Don Mills and Sheppard. Several other enclaves of this sort dot the main roads in Don Valley Village. Roughly twice as many people live in multi-unit dwellings as live in detached houses in this neighbourhood. The average price of all homes in the area is on par with the average price of homes across all of Toronto. Don Valley Village suffers from some serious highway noise at the points around the 401 and the Don Valley Parkway. Traffic noise near the mall can also get quite intrusive. Most of the neighbourhood is clean and orderly however. Crime in Don Valley Village is fairly close to the average crime rates for Toronto. In violent crimes measured by the this 2011 crime map, Don Valley Village falls somewhere in the middle. It does rank slightly above the median when it comes to theft-related crimes. Don Valley Village is a neighbourhood with many families and children, and many schools to meet their needs. The public school system operates the Crestview Public School, the Seneca Hill Public School, The Kingslake Public School, the Lescon Public School, the Dallington Public School and the Georges Vanier Secondary School all within Don Valley Village. The Our Lady of Guadalupe Catholic School and the Saint Matthias Catholic School offer Catholic education within Don Valley Village. Public transportation in Don Valley Village is not bad for a Northern neighbourhood. Because Sheppard Avenue runs through its South end, the neighbourhood benefits from the Sheppard subway line, which is the only East-West non-bus public transit in northern Toronto. The Don Mills Station allows passengers to get off right at the Fairview Mall. Just outside the neighbourhood to the Northwest, the Old Cummer GO station is also available. Families dominate this neighbourhood. More than 4,500 households have children living at home, and fewer than 3,000 do not. In addition to the schools themselves, there are a number of other organizations in the area that provide activities and services for youth. One example is the Great Garden Adventure, operated by the Toronto Green Community. They operate in a number of locations across the city, including Don Valley Village. This group provides activities that teach children about gardening, composting and nature through hands on activities in the Peanut Multicultural Garden.